Discuss career paths with students in 6-9th grades. Sports and corporate teams are more alike than you think. As an athlete there are lessons that are applicable to the corporate world. These skills will help you be the best, both on your team and for your team. Women of Color STEM Conference 2017. Seminar aiming to inspire and empower women across the world to take on leadership roles, to lead change with more conviction and confidence. You are the CEO of your career! Panelist partner Akilah Cadet, DHSc founder of Change Cadet. Brunch meetup, hosted by #100BusinessGirls. 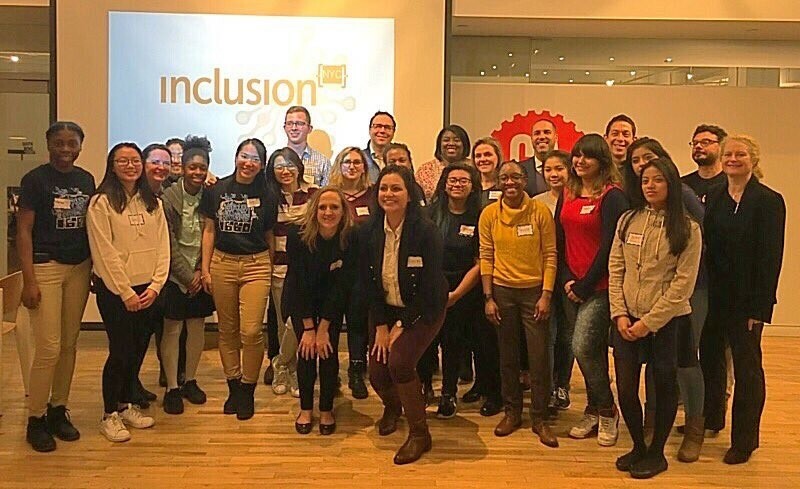 This meetup explored the journey of women and minorities in diverse/non-diverse tech environments, discussed the role inclusion has in providing more diverse work spaces, how we can create a pipeline for more women and minorities in tech. Read about it here! Featured panelist at Flatiron School in NYC discussing tech recruitment to women engineers. Event focused on women knowing their worth, how to be the best candidate, resume tips and interview prep. Read more here! Feature story published in Capitol Technology University's Capitol Connector monthly newsletter. The story is an overview of my time as a Capitol student and how I achieved a successful career. Read the article here! after i earn my degree, how do i get a job in information technology? Guest speaker at Breakfast for Lunch event held at Capitol Technology University organized by the Alumni Association. Students and alumni met for informal discussions on the best career paths in IT. Guest Speaker at student and professional event discussing inclusion and diversity in STEM. Facilitated conversations about how to make STEM more accessible for minorities and how we can become advocates for technology in our communities, schools and workplaces. Woodson High School in Fairfax, VA brings together the IT Girls after school program and women in STEM to discuss their passion for IT. The discussion focused on why young women in IT is so important and the different career paths in STEM.